Who is currently considered as the best T20 freelancer? Pollard Pollard!!! 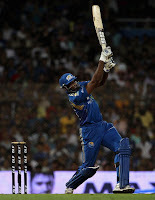 72 runs off just 30 balls from Pollard has helped Mumbai Indians keep their hopes alive in the Champions League although their chances to qualify further are very very slim. Guyana in reply could manage 153/6 in their quota of 20 overs. 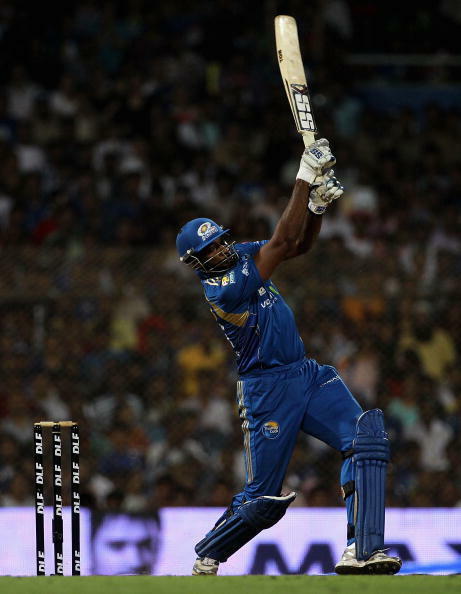 Their highest scorer was Ramnaresh Sarwan who scored 46 off 55 balls.